The use of pre-workout supplements raises many questions for a lot of people. Here are some simple answers to some of the most common. There are a number of reasons that pre workouts and alcohol don't mix. Firstly, alcohol is a depressant, while pre workouts often contain stimulants. While these effects may cancel each other out, stimulants have been known to mask the effects of alcohol consumption, causing people to drink more than they otherwise would. Apart from placing the user in risky situations, it can expose them to severe health consequences like unconsciousness, and deaths have been reported (1). While potentially dangerous ingredients like DMAA which have been abused as "party drugs", have been taken out of pre workout supplements, other ingredients may interact with alcohol, for example, creatine can cause dehydration, which can amplify the effects of alcohol. Finally, it is a waste. Alcohol is a known catabolic substance and impairs muscle growth. The best outcome is that the pre workout will have no effect (2). Many pre workout supplements are designed to be taken on an empty stomach. If the body is directing blood toward the digestion and absorption of food, there is less blood to travel to the muscles. This is a sensible strategy to maximise muscle pump and nutrient flow during a workout, but low blood sugar can cause dizziness and weakness, which is not where you want to be when you're trying to lift. In addition, pre workouts often contain ingredients that can irritate the digestive system, like creatine, and caffeine and other stimulants. While working out after a full meal sounds like a recipe for disaster, a snack might make all the difference. The Australian Institiute of Sport has made some good recommendations on eating before exercise - fruits, cereal, smoothies and yoghurt are great 1-2 hours before a workout, whereas sports drinks, bars, and jelly sweets can hold you over immediately before, or during training (3). These small, energy dense snacks are easily digested, and can help mitigate the effects of taking a pre workout on an empty stomach. Unfortunately, pre workout powders are prone to clumping. The clumping is caused by the tendency of the ingredients to absorb water from the atmosphere. Pre workouts are generally safe to use after they have clumped but it is best to let your sense of smell and taste be your guide. Avoiding clumping is as easy as avoiding moisture. Never store pre workouts in hot or humid places, Make sure the lid is always tightly replaced, and never use a wet scoop. Many people have successfully avoided clumping by storing their pre workout in the freezer. The most common reason people fail to obtain any effect from their pre workout is tolerance, specifically to the stimulant-based ingredients in the formulation. Caffeine is one of the most popular ingredients in pre workouts and an average dose contains the same amount as is found in a strong cup of coffee. Caffeine and stimulant tolerance is a well known and researched phonomenon which most coffee and tea drinkers will be familiar with (4). Because of tolerance, heavy caffeine users are likely to report getting less of an effect from pre workouts, and the effects of a particular formulation can diminish over time. Pre workouts are designed to be cycled, and there's a good chance that taking some time off a particular brand, a particular stimulant, or pre workouts in general will have you once again feeling the full effects of your pre workout. Pre workouts are not designed for children. These supplements can contain high doses of stimulants, like caffeine, to which children may be particularly sensitive in relation to adults. However, when used cautiously under strict adult supervision, at a reduced dosage if necessary, a junior athlete may benefit from use of a pre workout formulation. Some pre workout formulations contain mood boosting supplements which can give the user a sense of euphoria and wellbeing. These feelings boost motivation and focus during training. Common pre workout ingredients which can boost the mood and cause a "Pre Workout High" include caffeine, phenibut, phenylethylamine (PEA), taurine, tyrosine, and B Vitamins. The most common symptoms of taking too much of a pre workout supplement are caused by the high caffeine content. 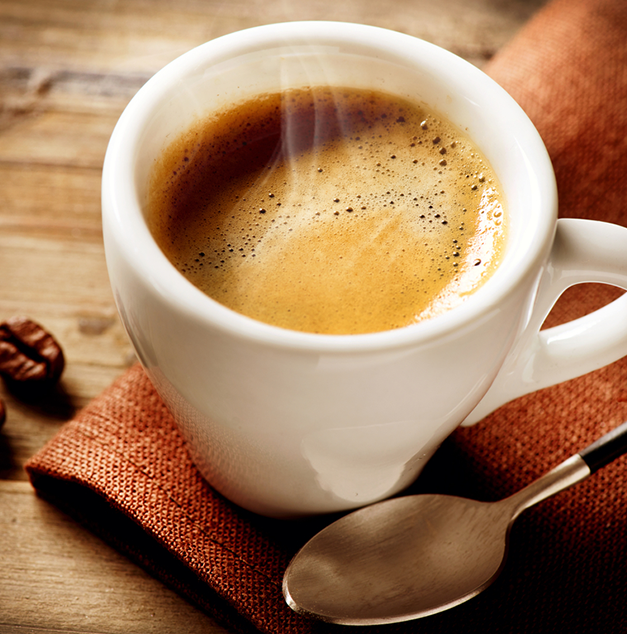 The symptoms of caffeine overdose include increased blood pressure, rapid or irregular heartbeat, muscle twitching, confusion, paranoia and anxiety. Other overdose symptoms from taking too much pre workout may include skin flushing and low blood pressure due to vasodilation, and gastric symptoms, such as upset stomach, vomiting and diarrhoea due to the potential of many ingredients to irritate the gut wall (5). An overdose of pre workout can be dangerous and potentially life threatening, and if in doubt, medical attention should be sought. (1) Hendler RA, Ramchandani VA, Gilman J, Hommer DW. Stimulant and sedative effects of alcohol.Curr Top Behav Neurosci. 2013;13:489-509. (2) Parr EB, Camera DM, Areta JL, Burke LM, Phillips SM, et al. (2014) Alcohol Ingestion Impairs Maximal Post-Exercise Rates of Myofibrillar Protein Synthesis following a Single Bout of Concurrent Training. PLoS ONE 9(2): e88384. (3) Eating Before Exercise. The Australian Government Sports Commission. http://www.ausport.gov.au/ais/nutrition/factsheets/competition_and_training/eating_before_exercise Accessed 17th Fenruary 2014. (4) Nehlig A, Daval JL, Debry G. Caffeine and the central nervous system: mechanisms of action, biochemical, metabolic and psychostimulant effects. Brain Res Brain Res Rev. 1992 May-Aug;17(2):139-70. (5) Shannon MW. Theophylline and caffeine. In: Shannon MW, Borron SW, Burns MJ, eds. Haddad and Winchester's Clinical Management of Poisoning and Drug Overdose. 4th ed. Philadelphia, Pa: Saunders Elsevier; 2007:chap 65.